Mon., 30 Sep. - Wed., 16 Oct. Tue., 11 Feb. - Thu., 13 Feb. Thu., 17 Oct. - Wed., 23 Oct. Thu., 28 Nov. - Tue., 17 Dec. Tue., 21 May - Mon., 1 Jul. Mon., 13 Jan. - Wed., 22 Jan. 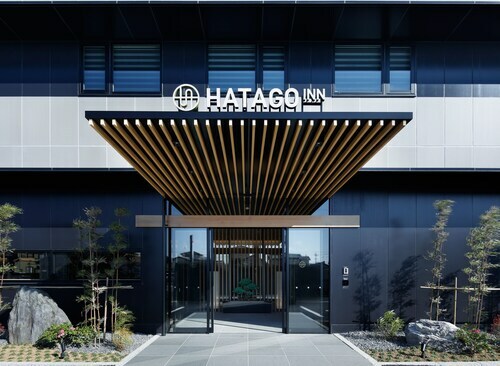 Situated near the airport, this romantic hotel is within a 10-minute walk of Osaka Bay and Rinku Park. Rinku Premium Outlets is 0.6 mi (0.9 km) away. Izumisano Rinku Town Station is only a 4-minute walk and Osaka Hagurazaki Station is 23 minutes. 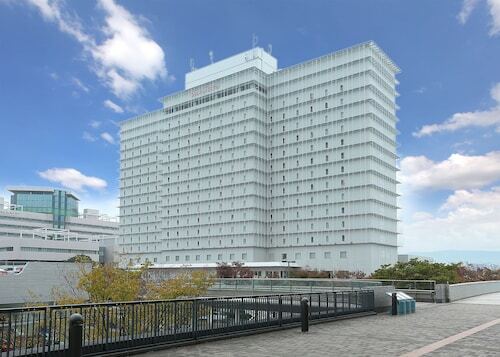 Situated in Izumisano, this hotel is within a 15-minute walk of Osaka Bay and Rinku Park. Rinku Premium Outlets is 0.8 mi (1.3 km) away. 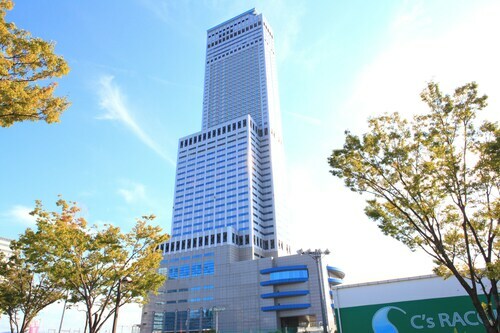 Izumisano Rinku Town Station is 8 minutes by foot and Osaka Izumisano Station is 21 minutes. 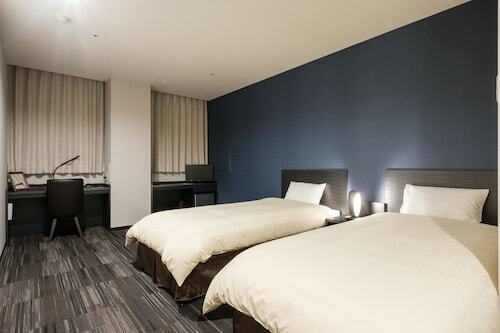 Situated near the airport, this hotel is 0.1 mi (0.1 km) from Osaka Bay. 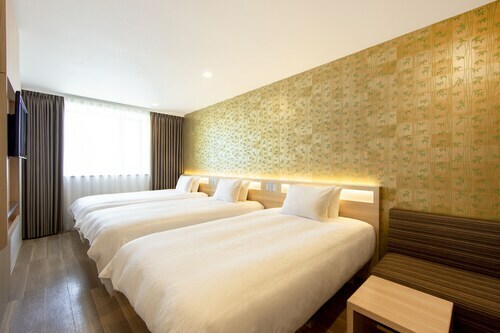 Situated in Tajiri, this hotel is within 1 mi (2 km) of Tajiri Port Sunday Morning Market and Rinku Premium Outlets. Rinku Park is 1.4 mi (2.3 km) away. Osaka Hagurazaki Station is 9 minutes by foot and Osaka Yoshiminosato Station is 13 minutes. Question : What is the cheapest date to fly to Osaka? Answer : As of Apr 15th, the cheapest day to fly from Calgary to Osaka is Apr 26th. Tickets are presently $945, which is 37% below the average price for this route. Question : Which airline has the least delays from Calgary to Osaka? Answer : Korean Air holds the best record for flights from YYC to KIX with a 100% on-time rate. Hopefully, they keep that perfect record alive. Question : Is there an alternative airport near Osaka? 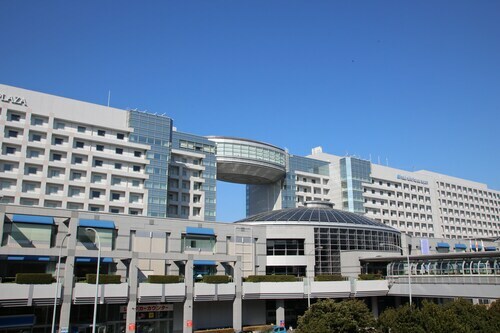 Answer : Kansai International Airport is a perfectly good airport, but there is a cheaper option – Itami Airport. It’s27 miles away from KIX and flights are being booked 45% cheaper over the coming two months. Answer : You sure can adjust your departure or arrival date and you may save money by changing when you leave. 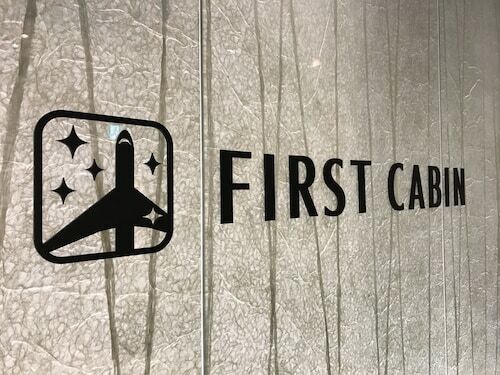 The lowest-cost day to fly in April is Sunday. Being flexible with your travel days can provide you extra savings when booking. Question : How much is a plane ticket to Osaka (KIX) from Calgary (YYC)? Answer : Cost can range anywhere from $945 to $6,859, prices for YYC to KIX do change much more than the majority of routes from Canada. The further out you book, the more likely you are to save. Question : How much time do people spend in Osaka? Answer : The average time spent in Osaka by travellers from Calgary is 10 days. Question : What is the cheapest airline flying from Calgary to Osaka? Answer : Delta Air Lines is the leader in keeping prices down for their passengers over the next three months. Fares are being booked at just $945, which is a steal when compared to the high-end bookings of $6,859.